North Georgia Personal Injury Attorneys hope everyone in Northern Georgia has a safe and fun Fourth of July holiday weekend. And in doing so, that requires dedication to staying safe. Whether it's on the roads or staying close to home this Independence Day, our firm believes that paying close attention to your safety and that of your family members will make the holiday the most enjoyable it can be. Holidays and vacations can be some of the most memorable times in the lives of family members, but they can also bring back horrible memories if accidents occur. And in more severe accidents, the injuries can create daily reminders of what went wrong. While car accidents and boating accidents certainly will be dangerous this holiday season with millions of drivers on the roads and thousands of boaters taking advantage of the nice weather, there are many close-to-home dangers people should be aware of. 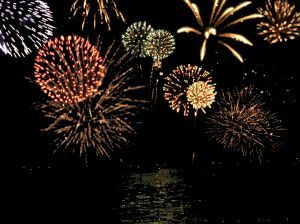 Fireworks accidents: Fireworks can be fun and entertaining, but they can also be dangerous. According to the Centers for Disease Control and Prevention, there were more than 7,000 fireworks injuries in 2008 nationwide and seven deaths. And children made up 60 percent of the injuries. These backyard fireworks are designed to work properly, but there are certainly times when the manufacturers design them poorly and they go awry. Bottle rockets and other flying fireworks can injure people's eyes, causing long-term vision problems, as well as severe burns on hands, fingers and legs. According to the CDC, in a one-year period from June 2007 to June 2008, there were 900 firecracker injuries, 800 sparkler injuries, 300 rocket injuries and of the firecracker injuries, 500 were small firecracker injuries. The CDC reports that sparklers burn at 1,000 degrees. While many believe these are fun, they can obviously be dangerous. We recommend finding a public fireworks display put on by the city or county closest to you and enjoy with your families. Let the professionals do what they do best and enjoy the show from afar. Be careful for falling debris, as these can sometimes happen at fireworks shows, but they are far more safe than personal fireworks. Swimming accidents and deaths: With the warm weather, kids flock to swimming pools. They are refreshing, are great exercise and are fun to play around. But they can be dangerous. According to the Georgia Department of Health, between 1999 and 2001, 351 Georgians drowned and 37 percent of those were children under 5. But while swimming pool deaths are tragic, so are injuries. Children get sucked into pool drains and can get severe injuries and near-drownings can cause life-long brain injuries. It is important that you pay close attention to your children this summer as they play in pools. If public pools are supposed to be supervised and they aren't and a child is injured, they could be liable. Also, they should have adequate warnings, such as signs or even fences and locks to make sure children are cautious. And there are also manufacturing defects in pools that can cause injuries to anyone because of poor design. 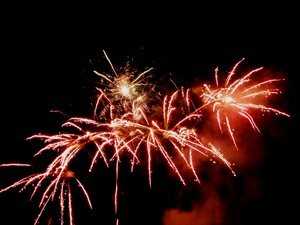 If you are injured in a fireworks or swimming pool accident, contact the North Georgia Personal Injury Attorneys at The Law Office of Casey W. Stevens. Call 877-217-7230 for a free case evaluation.